Salesforce Surveys From Wizu - The Chatbot For Feedback. Measure and improve customer experience with engaging, interactive Salesforce surveys that can connect directly with your Salesforce records and trigger workflows. Wizu offers powerful integration with Salesforce.com – the global leader in CRM, to allow you to create engaging Salesforce surveys. Users are able to trigger Wizu surveys from Salesforce and connect survey responses with customer data. As soon as a survey respondent completes a survey, their feedback will immediately be added to their contact record. These responses can be set to trigger workflows, send emails or open a case in Salesforce. 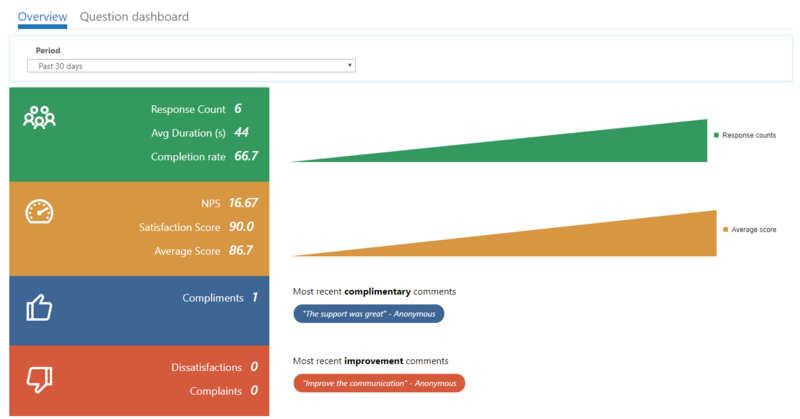 Wizu’s Salesforce surveys allow you to get a 360 degree view of your customer health, combining customer feedback with your business data. This allows you to spot trends, discover potential opportunities for growth and address any issues in real time. Improve The Customer Experience While Measuring It! If you are looking for a powerful Salesforce survey tool for Salesforce NPS, Salesforce Customer Satisfaction surveys or any other Salesforce Customer Survey then Wizu is the survey app for you. If you are looking for an alternative Salesforce survey provider to the likes of GetFeedback and SurveyMonkey, Wizu is an award winning, innovative tool that has evolved traditional online surveys in mobile-friendly conversational surveys. This leads to better completion rates, a better experience for your customers and more actionable insight for your company. Wizu surveys can be automatically triggered from Salesforce workflows. You can dynamically insert any customer data into your conversation and any responses can be fed back into any record or object. Wizu can automatically create cases dependent on different response criteria and you can set up as many workflows, email templates and surveys as you want to utilise at different stages in the customer journey. Below we have an example of a basic Wizu Salesforce conversational survey. If you have downloaded Wizu on the App Exchange you will need to create an account with Wizu in order to start creating your surveys. Visit our user guide for more information on this process and additional Salesforce help.